Join us this Tuesday, May 31st, 2016 at 8 pm (CST) for a webinar that will change your life. 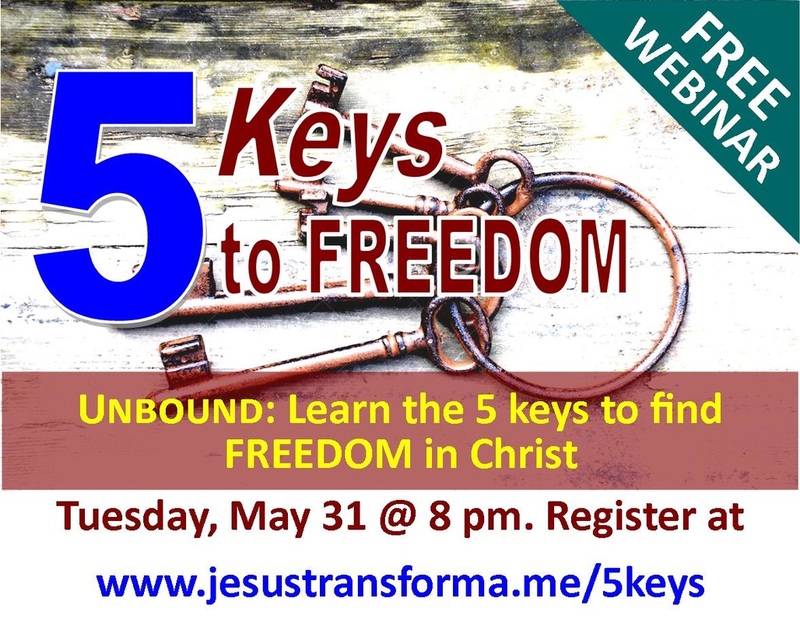 I will be introducing the 5 keys to freedom from the interntationally renowed expert Neal Lozano and his UNBOUND process. You will learn how God desires to free you so that you can achieve your destiny and change this world with that special gift that only you have to give! We are also excited to introduce our seven-week online course Unbound to help you understand who you are in Christ, and how to live a life of victory, free from anxiety, depression, unnecesary worries and anything that separates you from a full relationship with God, yourself, and others. Become transformed from "within" along with other participants hungry to be their best version as God created them to be. Let your friends know and I promise God will call the "gold" He planted in you -- expect miracles to take place in your life! Don't miss it. Register today. It is a free webinar.